A desperate drug-blighted thief who stole hundreds of pounds of cosmetics from the East Midlands Designer Outlet has been forced to pay a heavy price for his offending. 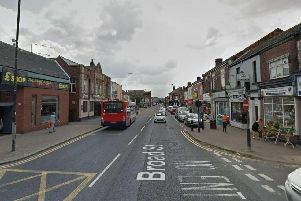 Chesterfield magistrates’ court heard on October 18 how Andrew Christopher Black, 52, twice struck at The Cosmetics Company store, at the McArthurGlen retail park, on Mansfield Road, at Pinxton, with a co-accused. Black’s co-accused was sentenced during a previous hearing to 20 weeks of custody suspended for 18 months but she was also dealt with for other offences. The defendant, of Clegg Hill Drive, Huthwaite, Sutton-in-Ashfield, who has previous convictions, pleaded guilty to the two thefts. Defence solicitor Steve Brint said that Black’s dependence on illicit substances, particularly heroin, has led to his offending. Mr Brint said Black had been on a methadone prescription but he relapsed back to using heroin and he committed the thefts with a co-accused. Black had also been homeless, according to Mr Brint, but he is back on a methadone prescription and he is supporting his blind brother who has health issues. Magistrates sentenced Black to ten weeks in prison suspended for 18 months with a Rehabilitation Activity Requirement. Black was also ordered to pay £728 in compensation, £85 costs and a £115 victim surcharge.